DELPHI, Ind. 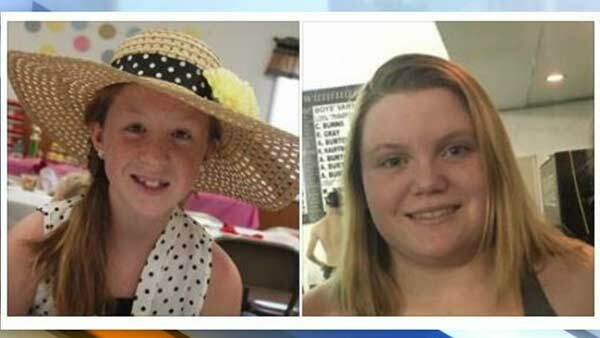 -- Authorities said they were searching a home in northern Indiana on Thursday looking for clues to the deaths of two teenage girls whose bodies were found on a trail where they had been dropped off to go hiking. Indiana State Police Sgt. Kim Riley said a search warrant was obtained for a home outside Delphi, 60 miles northwest of Indianapolis. He said no arrests were expected Thursday. The bodies of 14-year-old Liberty German and 13-year-old Abigail Williams of Delphi were found Tuesday about a quarter-mile from an abandoned railroad bridge that's part of a trail system where a family member left them Monday to go hiking on a day off school. Their deaths have been ruled a double-homicide. Police said Wednesday they had no suspects in the deaths that have shocked Delphi, a community of about 3,000 people. On Wednesday, police released two photos of a man walking along the city of Delphi's trail system around the time the girls were dropped off. Carroll County Sheriff Tobe Leazenby (tohb LEHZ'-ehn-BEE') said Thursday police just want to talk to the man about what he might have seen. Police said they have received about 100 tips about the man. It is not clear if the man is linked to the search warrant issued Thursday. Riley says a telephone tip line has been established in the case. The number is 844-459-5786. Callers can remain anonymous if they wish.